Bea Davenport is the writing name of former BBC journalist Barbara Henderson. She has a Creative Writing PhD from Newcastle University. Her crime/suspense novels for adults, In Too Deep (2013) and This Little Piggy (2014), are published by Legend Press. 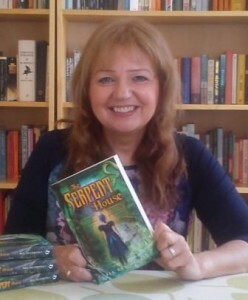 Her children's novel The Serpent House (2014) is published by Curious Fox and My Cousin Faustina (2015), initially an interactive e-book for reluctant readers, is published by ReadZone Books. She has won several prizes for short stories. She is a highly experienced creative writing tutor. Journalism lecturer at University for the Creative Arts, UK.